When Beth Kanter, a luminary in the world of social media for nonprofits came to town last week, it was clear that many who had gathered to hear her speak felt overwhelmed. One after another nonprofit staff member expressed frustration: We’re a staff of two people • We don’t have the time • We don’t have the budget • Our board members dislike social media. “I call that a ‘failure bow.’ Now you can stop worrying about falling on your face and start learning,” said Kanter, speaking at Oakland’s East Bay Community Foundation as part of the OakTech Talk series. To keep the fear of failure at bay, Kanter offered nonprofits 6 tips. Decide to be data informed, not data driven. Data is one of several metrics. It shouldn’t be the only metric. Determine what your goal is. Do you want to build your activist community? Identify potential donors? Figure out who you need to reach to accomplish your goal. Zero in on one or two metrics to measure your success. Establish a benchmark and build from there. Make a pact with yourself to learn as you go. For those hardest to convince, Kanter suggested finding an ally in your organization who can help make your case and to be your sounding wall. In addition, track and compare your organization to its peers. It can be a secret weapon. After all, what’s more powerful than old fashioned peer pressure? Posted on February 27, 2013, in Nonprofits, Social media. Bookmark the permalink. 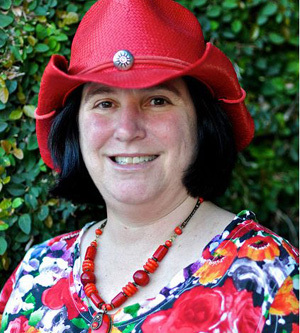 Comments Off on Beth Kanter: 6 tips to measure your networked nonprofit.